5 Vintage Czech Glass Beads in a Candy Corn Shape! They look like polished stones! 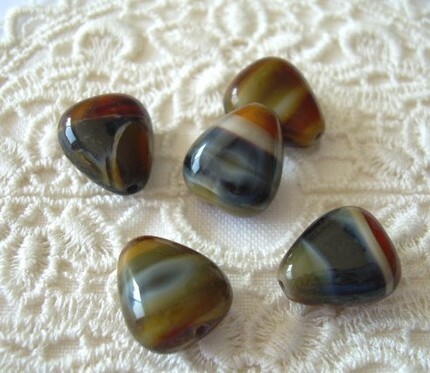 Similar to Tiger's Eye in browns but with the added hues of blues and greens! Perfect for a design with a "Halloween look", but without the usual bright orange color. You'll love the smooth feel of these glass beads - they'll make your jewelry designs special!